With Ramadan coming close to an end I’ve rounded up three spots to try for iftar which I’ve absolutely enjoyed! Let me know if you tried/try them out, and what you think. One of the most exuberant Dubai tents, Asateer in Atlantis is a must-try! Although it might be considered a bit on the pricey side by plenty, the dazzling decorations, kunafa stands, and endless starters selections make it an elegant and delicious spot you don’t want to miss out on. Highlight: Luxurious setting/ hosts up to 900 people. Reservations: Call +971 4 426 0800. It was my first time visiting the Movenpick Hotel located in JLT, and I was amazed as I had iftar at their restaurant, Nosh, which was fully booked that evening. Although it is a comparatively smaller venue, Nosh offers various starter options consisting of both warm and cold mezza, and soup, and even more dessert options. 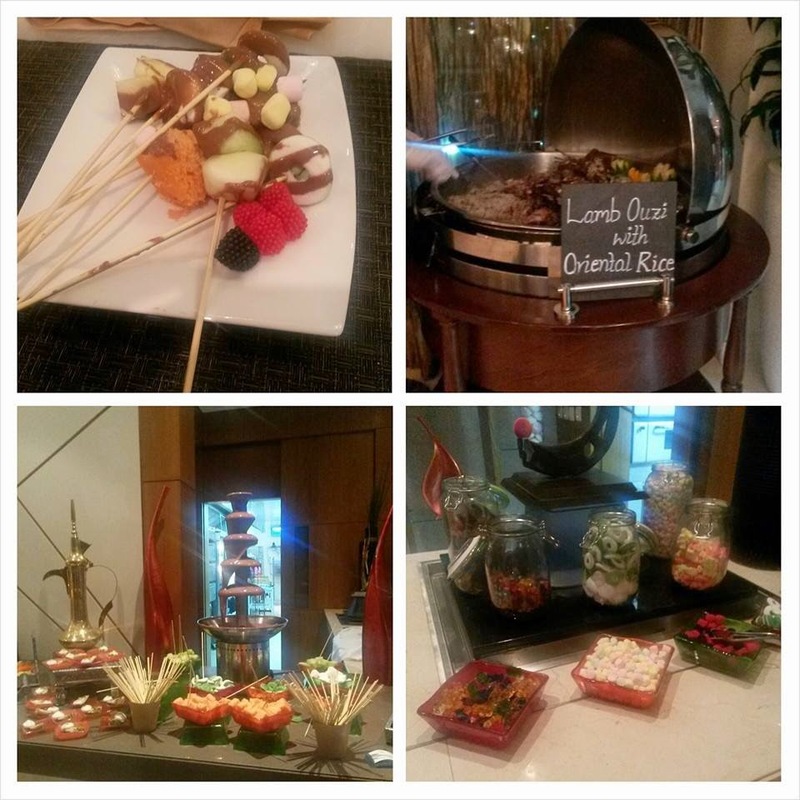 The restaurant offers traditional arabic dishes and desserts (an Ouzi station, and another shawerma one), but the best part had to be the candy stand and the chocolate fountain. May I add, at 99 dirhams, this is the most affordable and price-worthy iftar I’ve had this year. Highlight: Affordable/bonus points for creativity with candy. I don’t usually wander into the other side of town, but on this occasion, I was glad I did. Located in Bur Dubai across Burjman, the Park Regis Kris Kin Hotel offers iftar at the Kris restaurant, which offers both Arabic delicacies and pan-Asian dishes. The restaurant is also known for a delightful panoramic view of the city.